Can your case be settled in small claims court? Small claims court is exactly what it sounds like... a place to settle claims involving relatively small amounts of money. The maximum amount you can claim is determined by your state. Here’s what you need to know about what to bring, how to prepare, how to file a small claims lawsuit, and when you might need to lawyer up. Bad debt Someone owes you money and fails to pay. Breach of contract Someone breaks a valid contract that results in loss of money. Breach of warranty A product under warranty fails (for example, car problems while still under warranty) and the merchant doesn’t make good on the promise to honor it. Landlord/tenant You left a rental property in clean and undamaged condition but the landlord refuses to return your security deposit. A landlord could sue a tenant for unpaid back rent if they vacate the property without paying. Property damage Another person negligently or intentionally damaged your property. Personal injury Another person negligently or intentionally caused you to be injured. Nuisance You’re unable to enjoy your own property because of a healthy or safety hazard. Libel or slander (only eligible for small claims court in some states) A person or business said or wrote something untrue about you that damaged your reputation. This list is just the tip of the iceberg. There are hundreds of case types that can be filed in small claims court. What makes small claims unique from any other court is that there’s a specific limit or “cap” on the amount you can recover. The dollar limit depends on the state, although some states have different limits based on the type of case. In Kentucky and Rhode Island, for example, you can only recover $2,500 in a small claims action. In other states, though, you could be awarded a judgment up to $15,000. California $10,000 A plaintiff may not file a claim over $2,500 more than twice a year. Limit for a local public entity or for businesses is $5,000. The limit of lawsuits by an individual against a guarantor that charges for its guarantor or surety services is capped at $6,500. Hawaii $5,000 No limit on landlord-tenant residential security deposit cases. For the return of leased or rented personal property, the property must not be worth more than $5,000. New Jersey $3,000 Exception: $5,000 for claims relating to security deposits. Certain landlord-tenant suits cannot be brought in small claims court. Small claims court is designed to be a way for people to recover money in cases that are too small to be worth going through regular litigation, which can be costly and time-consuming. There’s not a minimum amount you can sue for in small claims court, but most courts have a filing fee that will be between $25 and $50. What cases are NOT allowed in small claims court? Small claims court is specifically designed for recovering a money judgment. Divorce, guardianship, name change, bankruptcy, or injunctions are not available in small claims court. You also can’t file a lawsuit against the federal government, any of its agencies, or a federal employee (for an action related to their job). File a complaint to start the action. Serve the complaint to the defendant(s). Present the case at trial. If the defendant fails to appear at a small claims court proceeding, the judge will issue a default judgment, which means the court will rule in your favor because the defendant has forfeited their right to present a defense. How can I win a case in small claims court? Make a realistic claim. Sue for exactly the amount of the loss sustained. It might mean estimating, but be as exact as possible. For example, if you’re suing a house painter in small claims court because he didn’t finish the job, look at the total amount you paid up front and subtract a percentage based on the amount of work he did. If he completed 75% of the project, sue for 25% of what you paid. Remember, the idea is to recover monetary losses, so you’re taking him to court to get back the money that he owes you. If you only paid him 75% of the total contract amount, you don’t have a small claim. You can still hire another painter to do the rest of the job without losing additional money. The amount you need to recover is what you need in order to get the job done. It’s not aggravation money — it’s recovery for actual loss. Careful recordkeeping. It’s good practice to keep track of contracts, receipts, cancelled checks, and other documents. No one ever plans to end up in court. But if a relationship or partnership goes bad in the process, you need something to show more than just your word against theirs in court. If you’re paying or receiving cash for a transaction, be sure to give or receive a signed receipt that the cash changed hands. Do your homework. Before appearing in court, learn as much as you can about the defendant. Look up their address and phone number. It might be as simple as a Google search, or you might need to dig a little deeper. Your town or county maintains property records, so whatever you can find will be helpful. Remember that for a small claims filing, it will be up to you to serve process (deliver the court papers) to the defendant — if you don’t know how to find or contact the person, that’s going to be difficult. Anticipate the defendant’s argument. Think like a lawyer. If you claim that a painter didn’t finish the job, be prepared for them to say they did. They don’t want to pay you. If the matter could have been settled with a simple discussion, chances are you wouldn’t be considering a small claims court action in the first place. Bring evidence. A picture is worth a thousand words, right? If the painter left half your house unpainted, show the court exactly that. Take photos, with date stamps, to show the judge exactly what you’re talking about. If someone damaged your property, take pictures of those damages and be prepared to present them in court. Provide witnesses. Remember that the judge likely has a docket of cases to get through and won’t necessarily spend a lot of time on yours. If you have a witness who can testify and support your argument, it’s useful. But don’t bring a general character witness (for example, your sister who’ll tell the judge that you never lie). This proceeding isn’t about establishing someone’s good (or bad) character; it’s about determining whether money is owed based on the material evidence presented. While small claims court can be a great way to be awarded economic damages, sometimes collecting the money can be difficult. A judge’s decision as to who wins goes into the court record, but the judge doesn’t facilitate or enforce payment. Sometimes you can directly contact the defendant and set up a payment schedule. Some defendants won’t want an unpaid judgment outstanding and they’ll send you a check right away. It’s in their best interest to do so because an unpaid debt can affect their credit score. Property lien. If the defendant owns property, you might be able to get a lien, but it could take a while. The lien won’t be required to be paid to you until the property is sold. Mechanic’s lien. If the small claim was about your having worked on a project (as a contractor or other service provider), a mechanic’s lien prohibits the owner from selling or refinancing the property until the debt is paid. Bank levy. A court could seize money from the defendant’s bank account. Wage garnishment. This court order requires that the defendant’s employer pays you by deducting up to 25% of the defendant’s paycheck until the debt is paid. Collection agency. If you don’t want to go through the courts for additional relief, you can turn to a collection agency. The agency can go after the debt, but you pay for the service as a percent of what’s recovered. Do I need a lawyer for my small claims court case? The purpose of small claims court is to offer a legal option for a plaintiff to receive relief in the form of money damages without going through a lengthy process and paying attorney fees. Most plaintiffs represent themselves in small claims court. However, before you file a small claims suit, it’s important to know exactly what the maximum recovery amount is and realize that you won’t necessarily receive the maximum. If there’s a possibility that your loss might involve additional or future damages that aren’t yet accounted for, small claims court might not be the best choice. 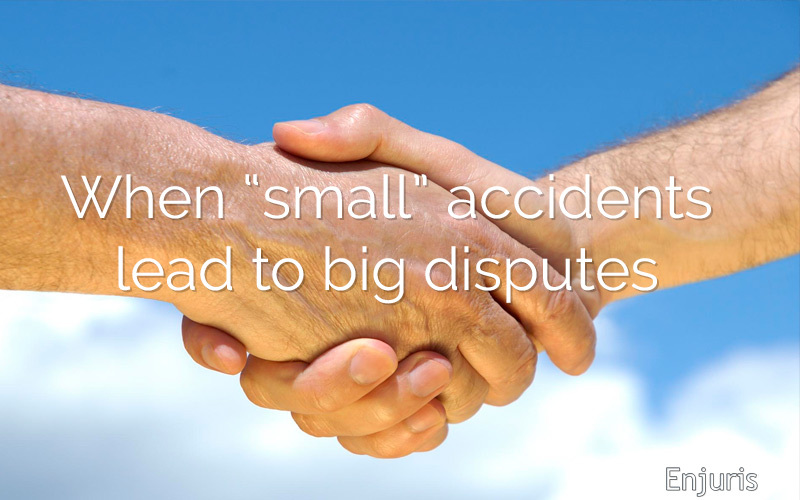 Small claims is a “one and done” legal process. If your claim involves physical injuries, for instance, then future treatment, therapies, or lost wages can’t be recovered in a small claims case. If you suspect your actual losses will be more than your state’s maximum, or if you don’t feel confident in making a sound argument for your case, you might want to consult a personal injury lawyer to make sure that you’re making a claim for the correct amount and in the right court. If you decide get advice from a lawyer, the Enjuris personal injury attorney directory is the place to start. There are a variety of ways to select a lawyer, and it’s important to choose someone who understands your case and objectives.